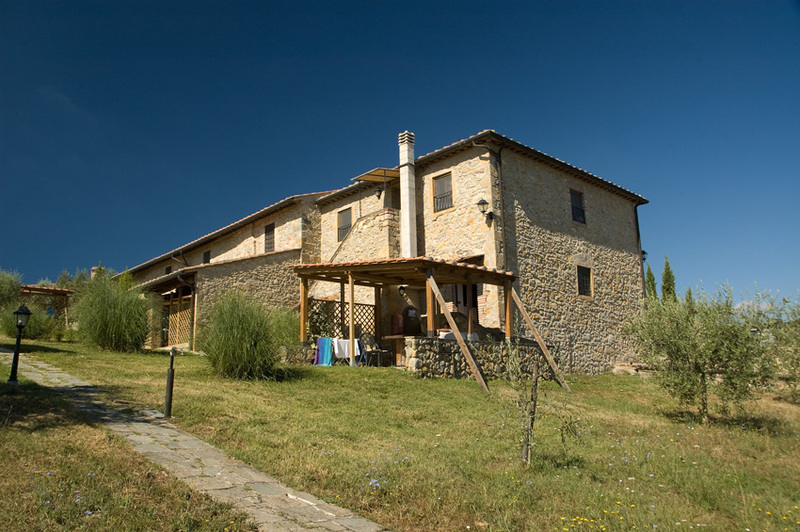 Within the property, approx. 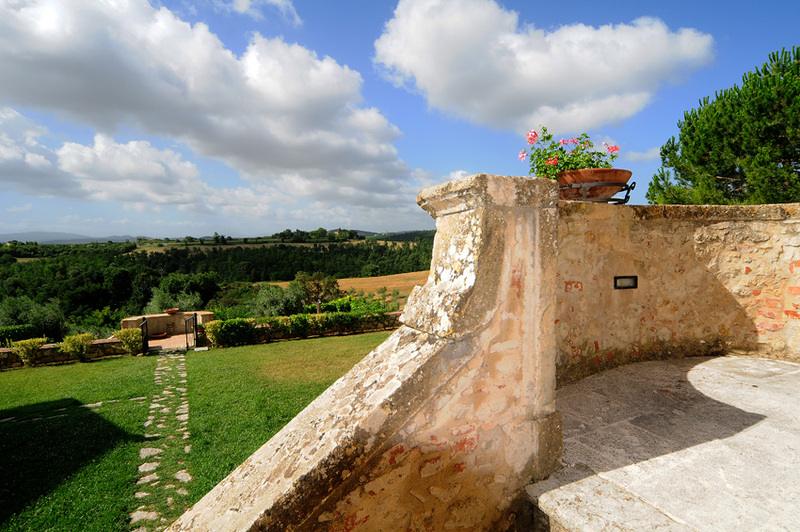 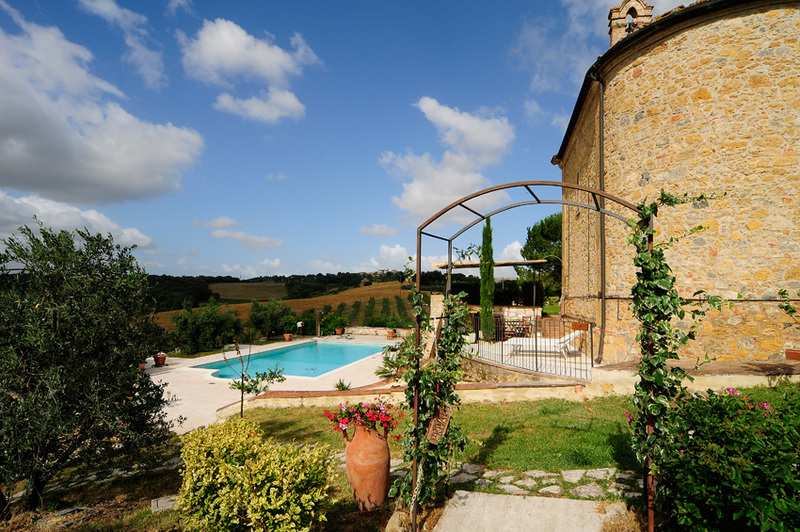 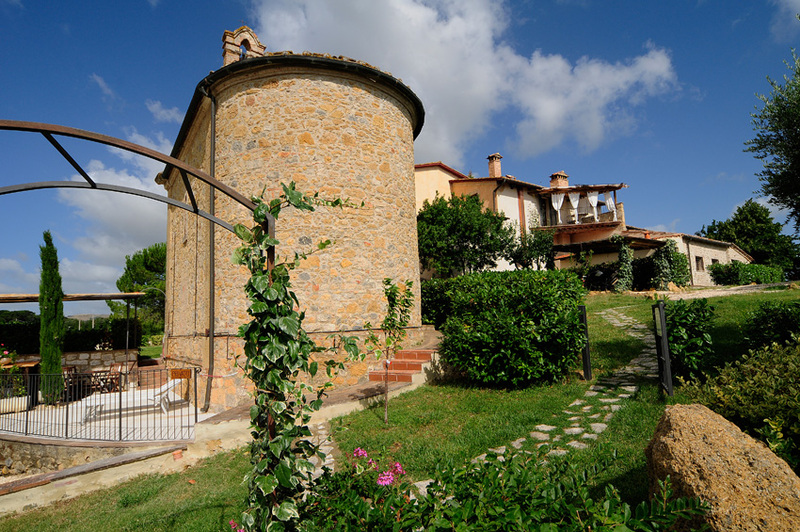 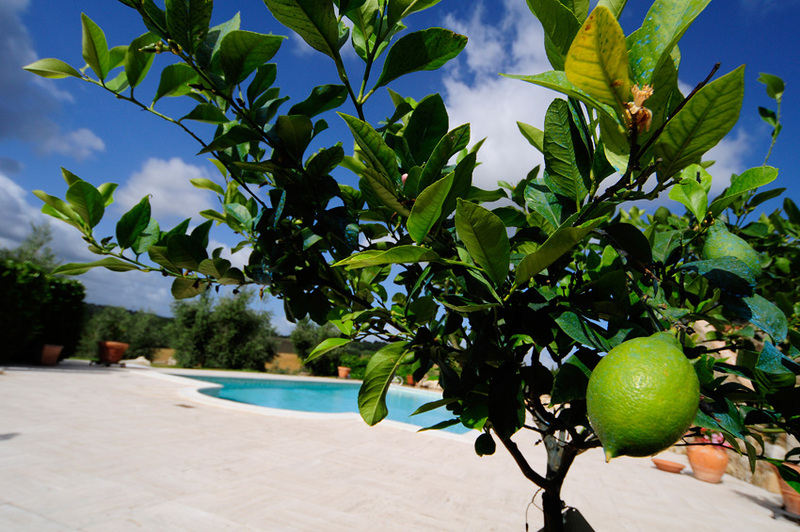 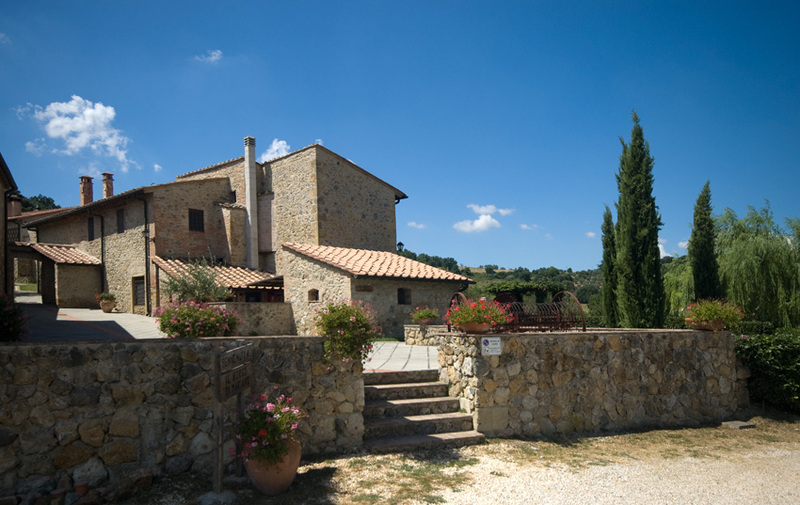 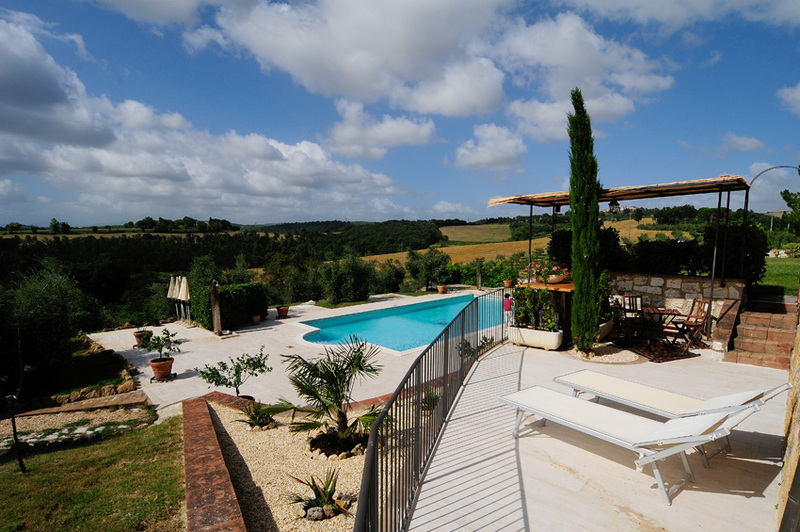 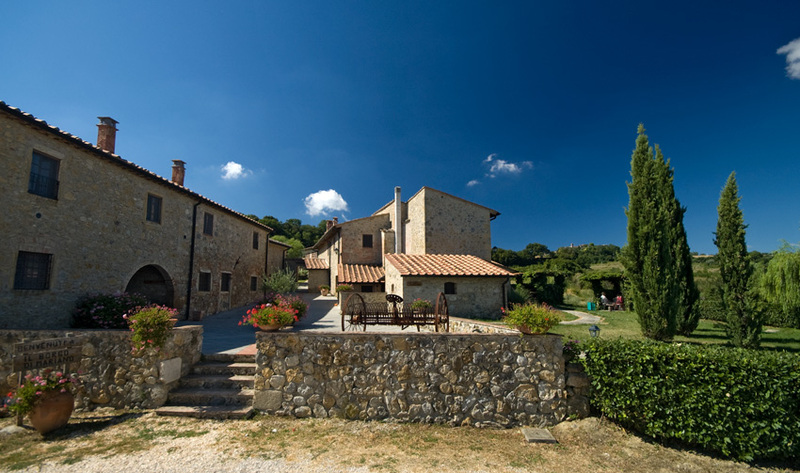 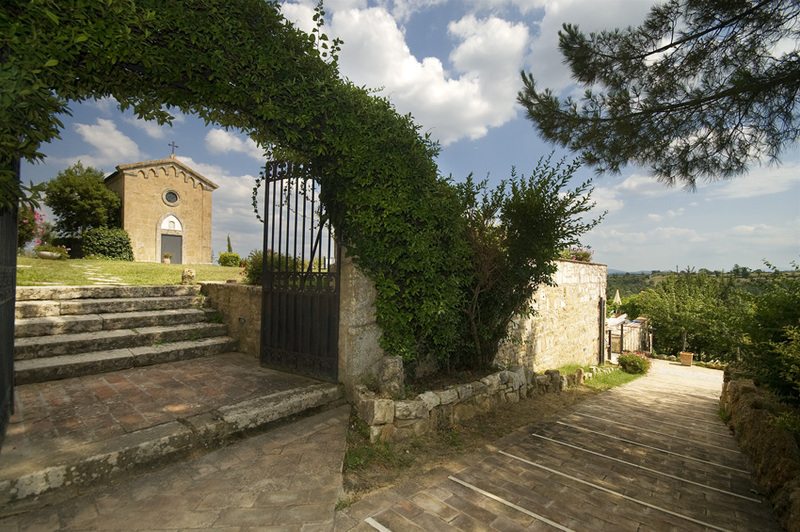 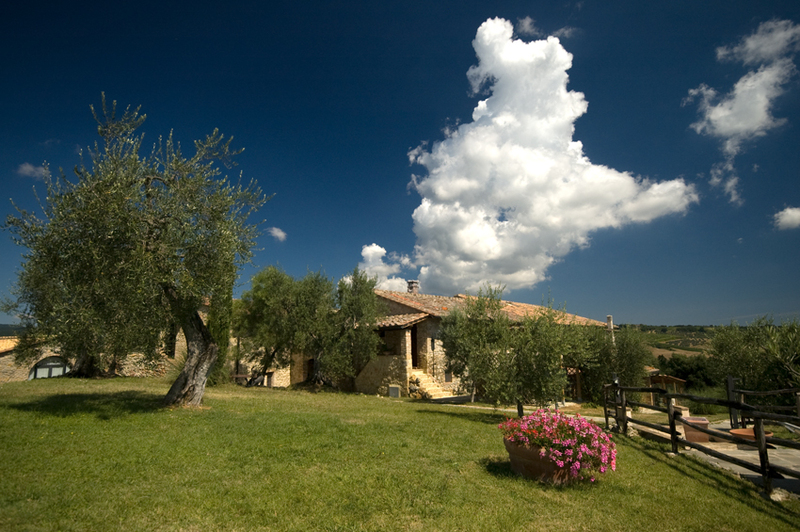 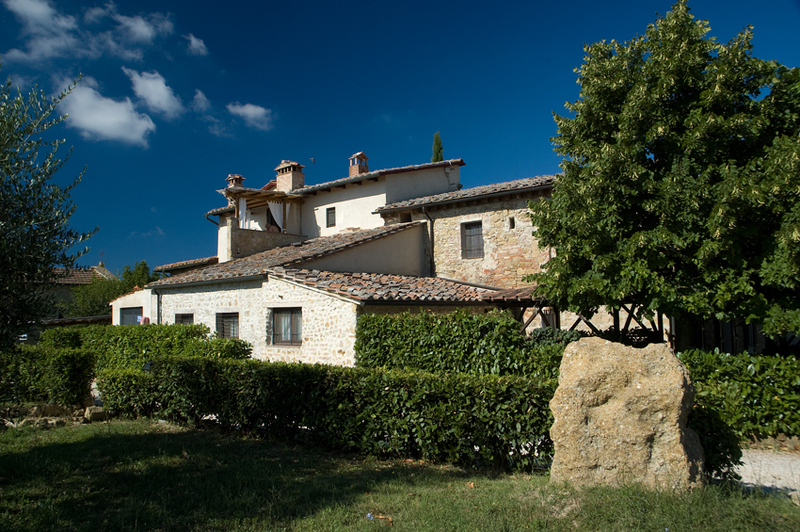 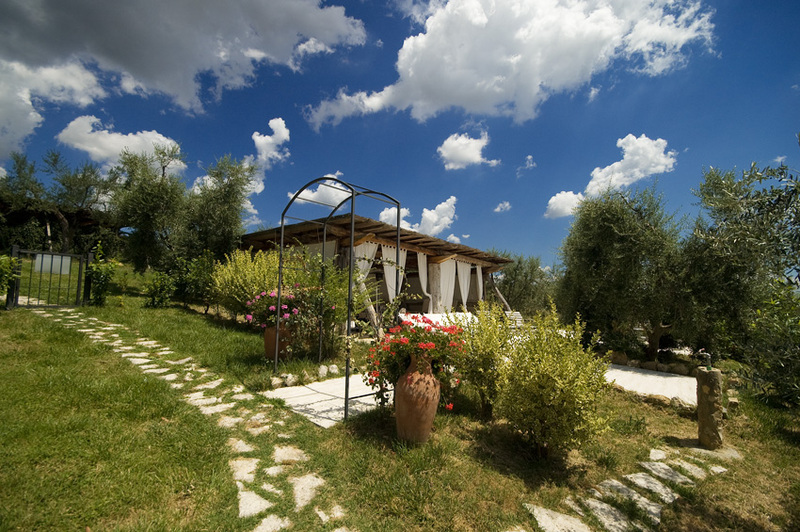 600 metres from Villa Dini, there is a group of farmhouses called "Il Borgo di Mariano", comprising four separate houses, entirely built in stone, with twelve apartments and one bedroom. 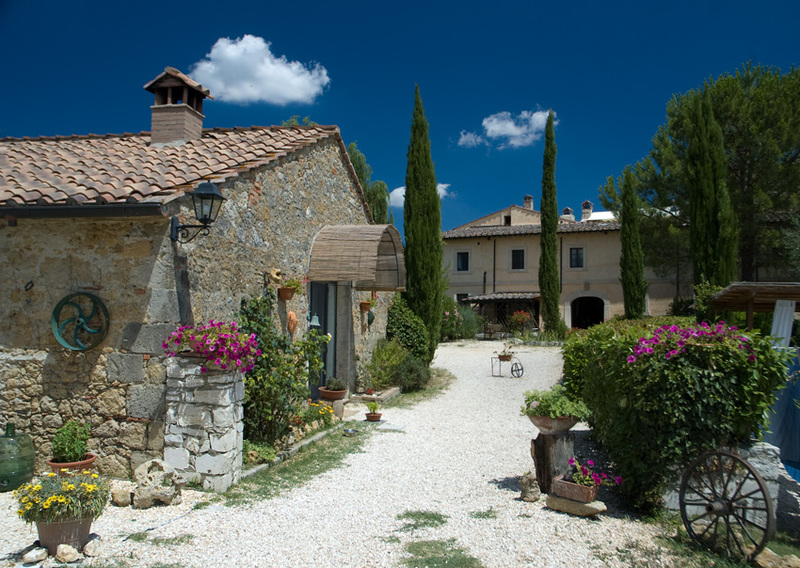 This is a typical, rural Tuscan suburb, where everything brings to mind the good old days: the square with the flagged pavement, the tools handed down by bucolic tradition, the apartments with cotto floors and wooden beams, the elegance of the furniture, all made from solid wood. 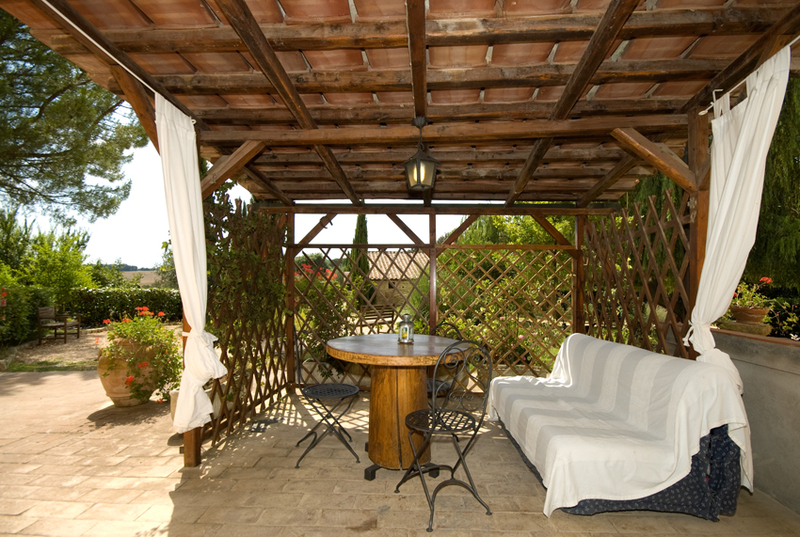 All apartments have their own green area with a lovely wooden gazebo with table and chairs to dine or enjoy a moment of relaxation in the open air. 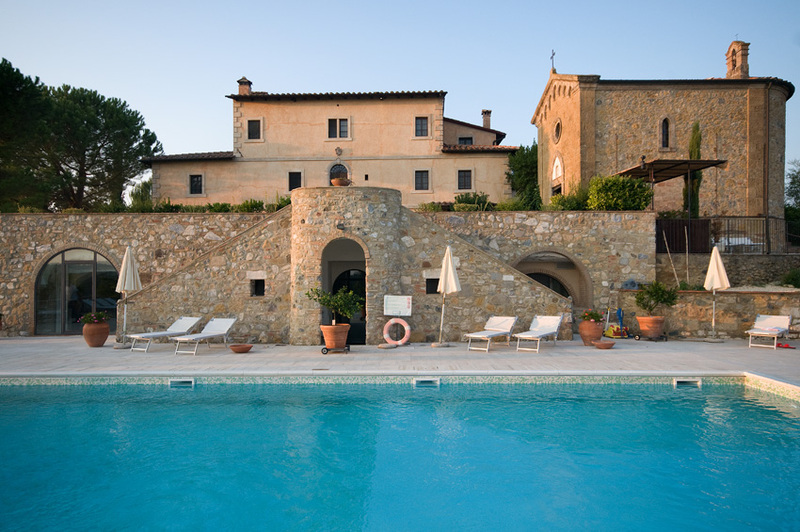 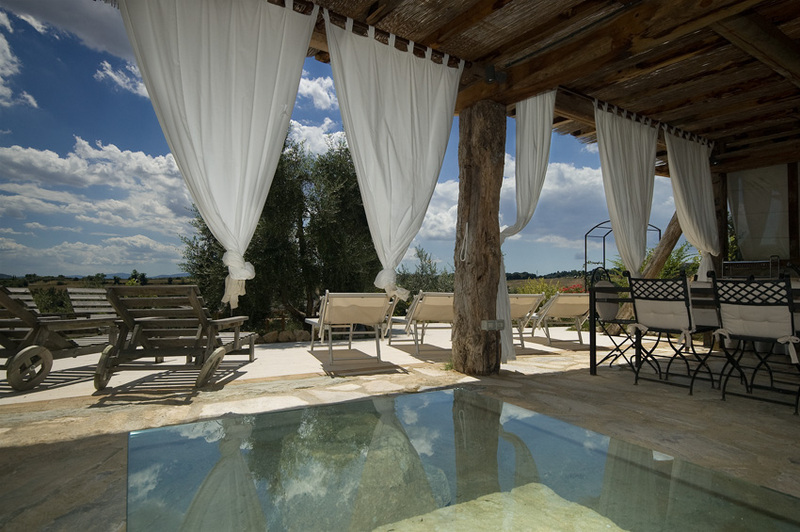 Just like Villa Dini, Il Borgo di Mariano also has its private swimming-pool surrounded by a spacious solarium with beach beds. 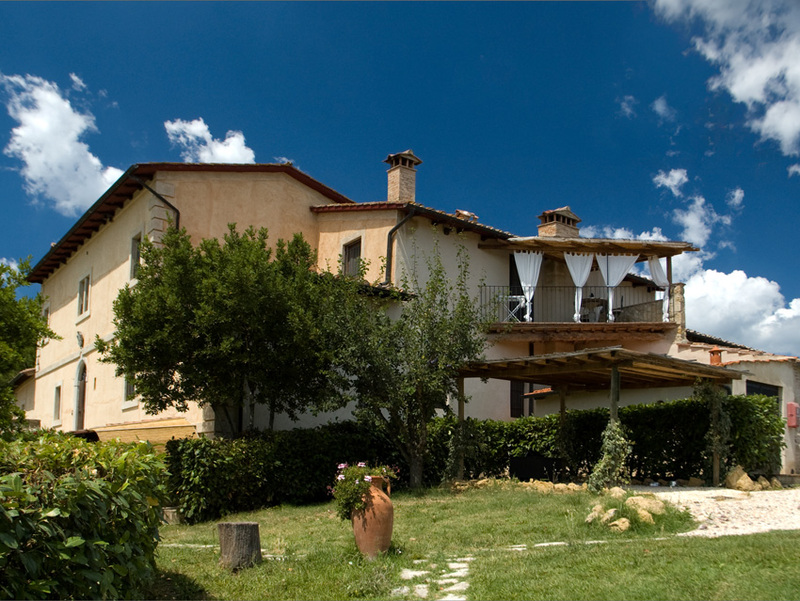 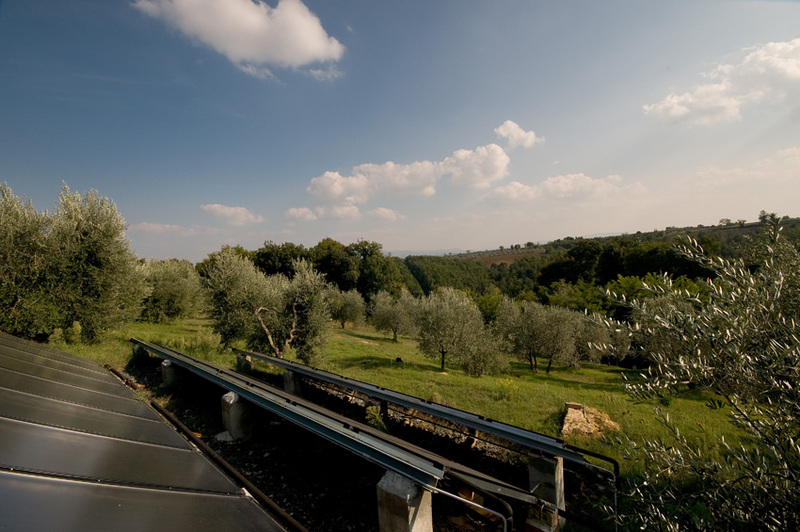 "La Locanda del Borgo" is the restaurant located within the facility. 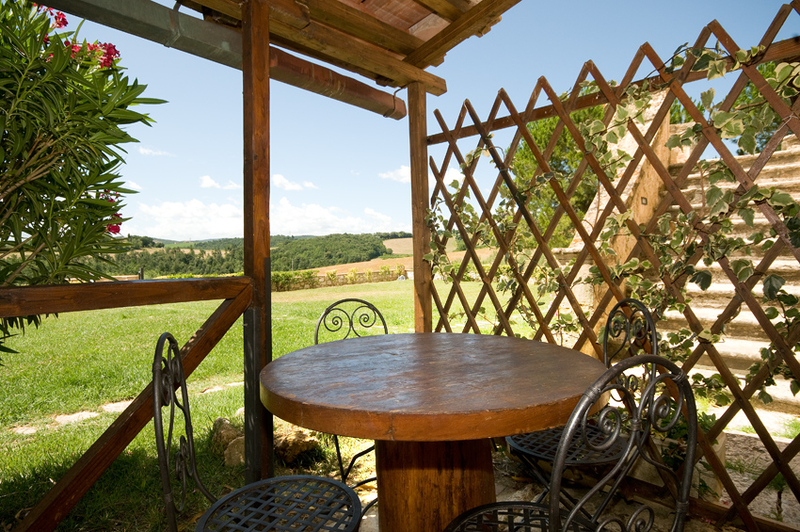 It is a typical country restaurant where Tuscan products and dishes are served. 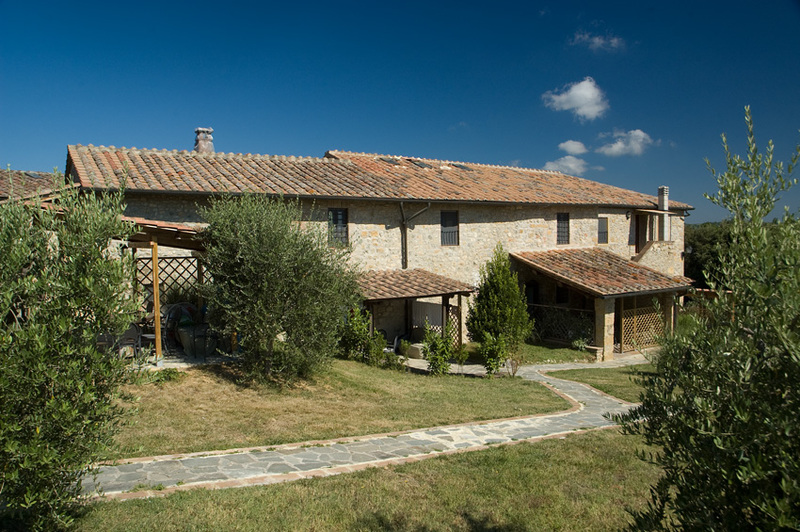 This early 18th century villa, classic and aristocratic, was subjected to restoration that has masterly recovered its original architectural style. 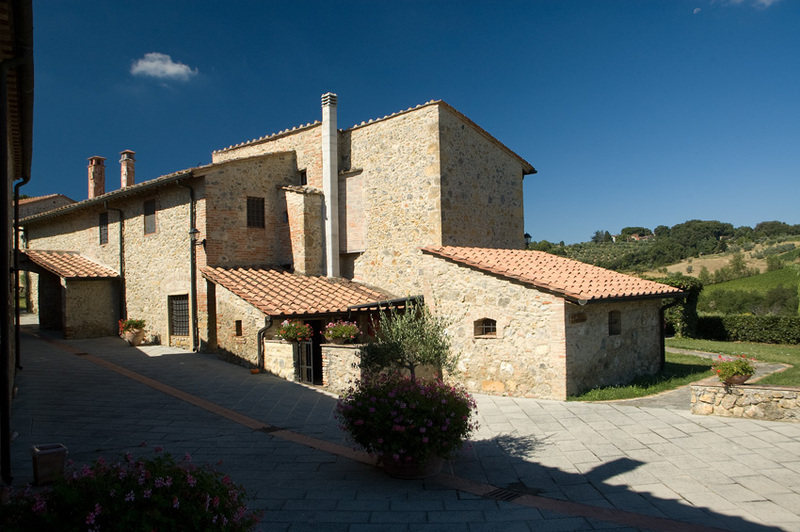 Villa Dini comprises one Superior bedroom, two bedrooms and eleven different types of apartments in various sizes that enhance the unaltered charm of the past, finished with materials bound to local tradition: cotto floors, ceilings with stone arches and wooden beams, walls with exposed original stones and bricks. 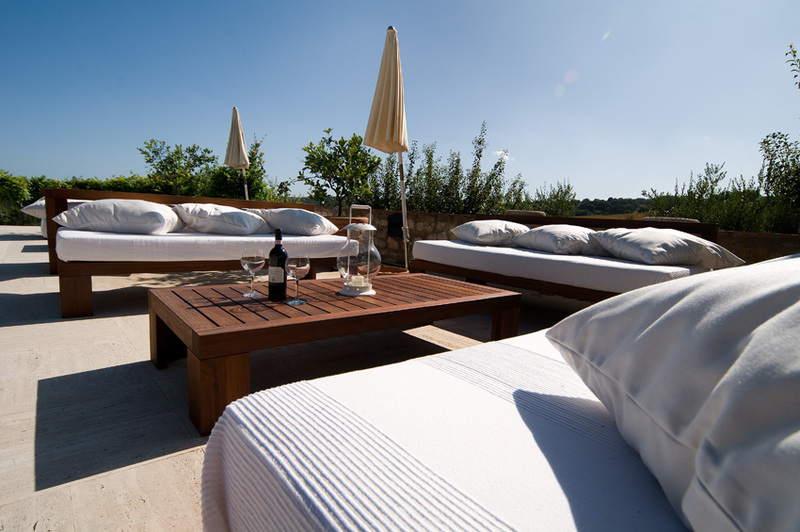 All the apartments have a convenient and functional cooking area and are furnished with elegant, solid wood furniture manufactured by local craftsmen. 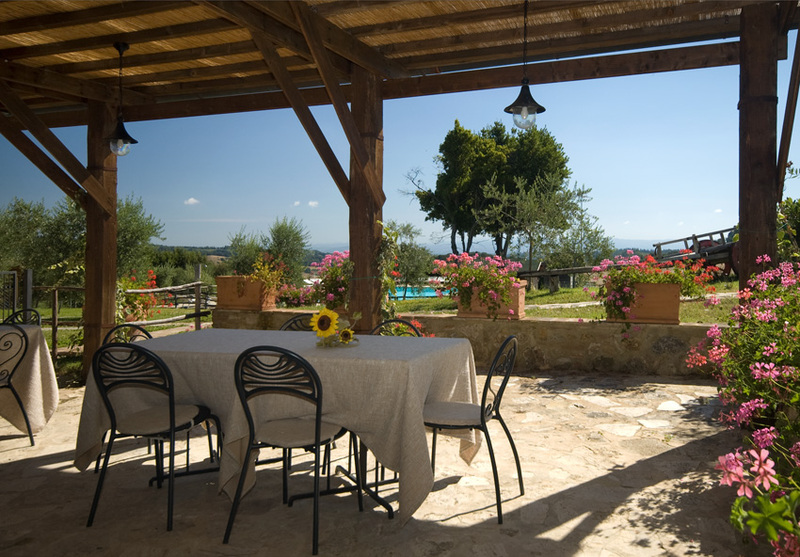 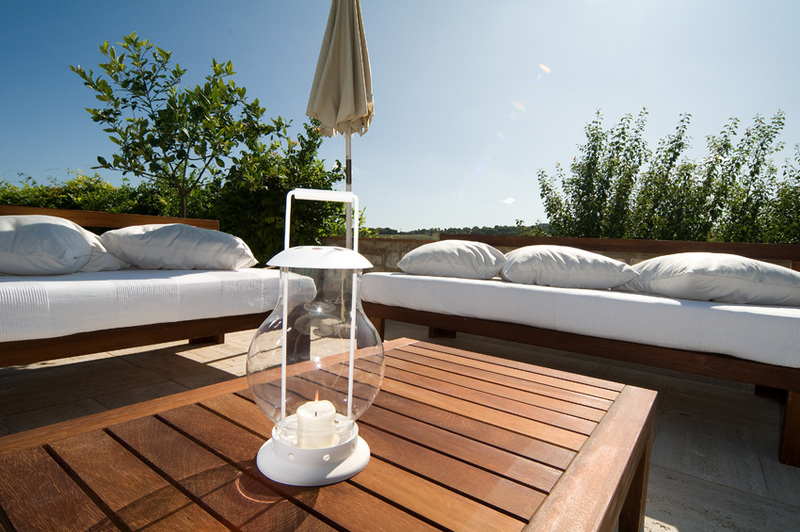 The ground floor apartments look onto the garden that surrounds the Villa, and each one has a lovely wooden gazebo with table and chairs to dine or enjoy a moment of relaxation in the open air. 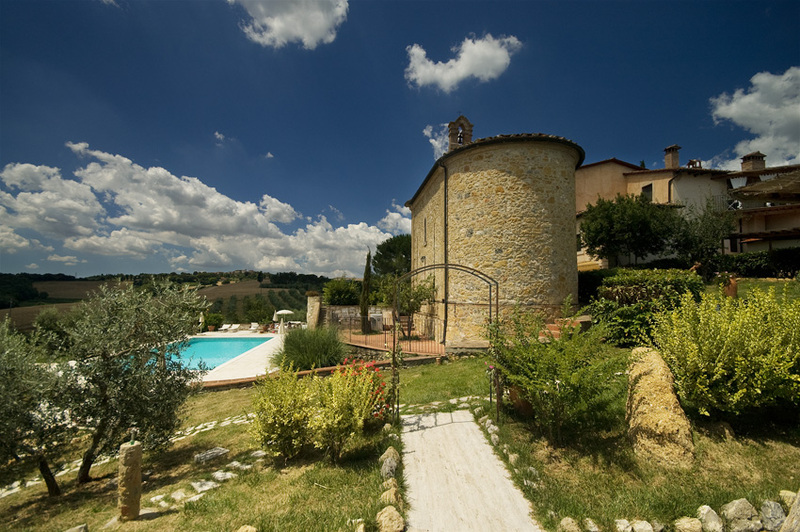 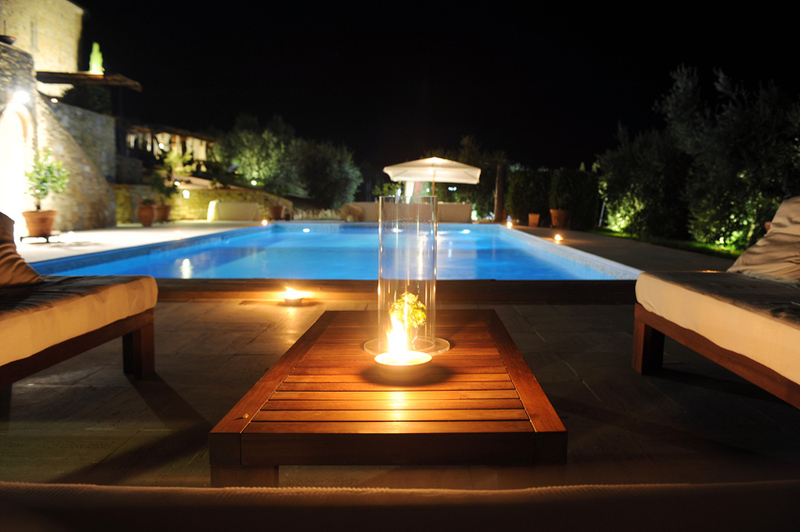 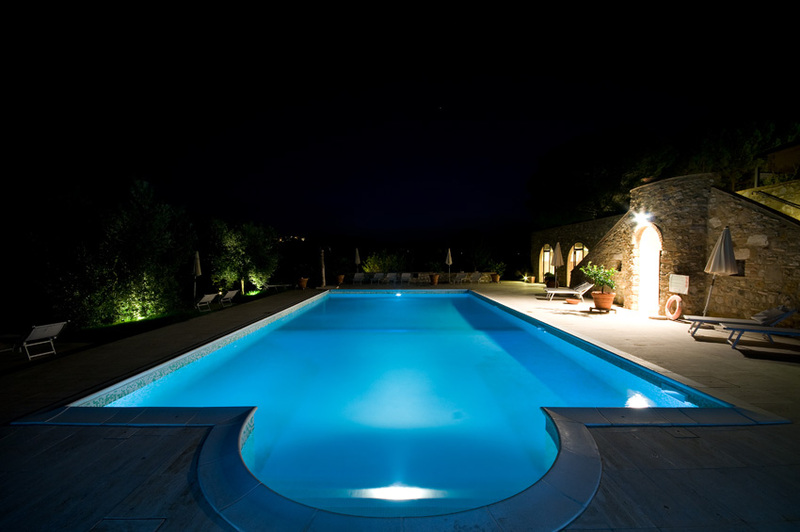 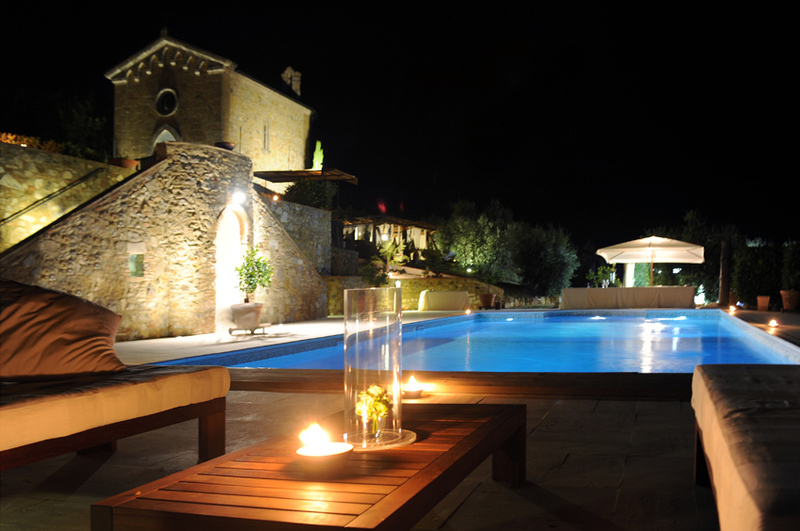 The main entrance of the Villa opens onto the lawn opposite the old Chapel, now de-consecrated; a staircase leads to the swimming-pool with outdoor showers, surrounded by a wide solarium with beach beds. 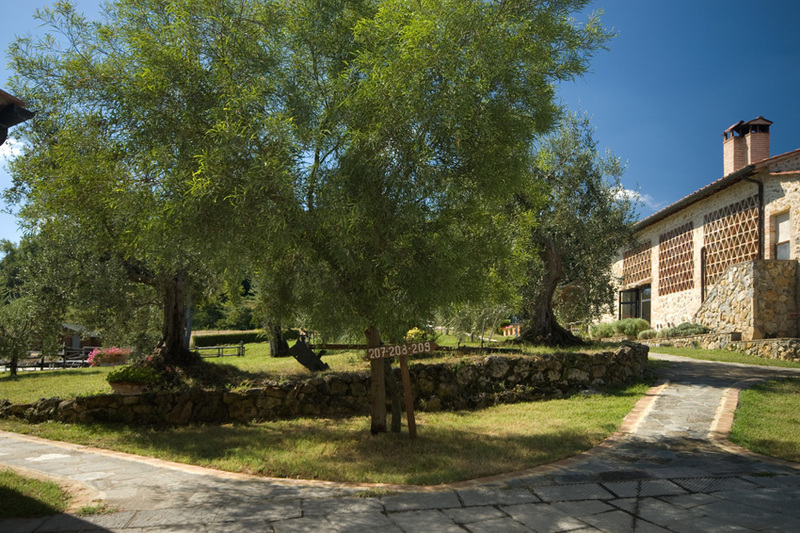 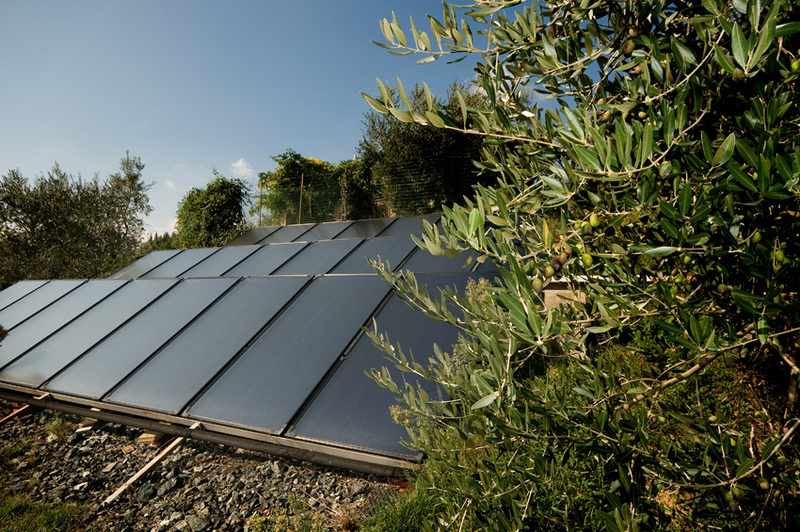 Within the facility there is a beach-volley court and a footpath through the olive-trees. 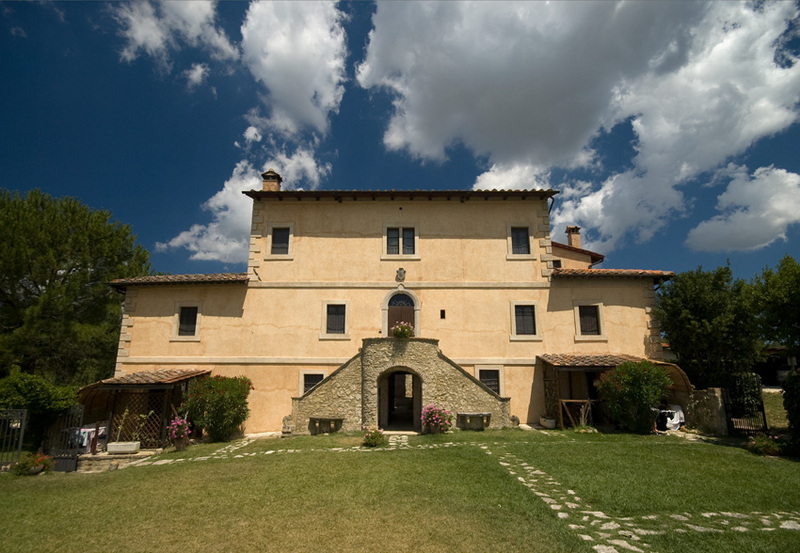 Villa Dini organises receptions and congresses with the collaboration, if need be, of "Expo Meeting" and "Dolci Tradizioni Toscane". 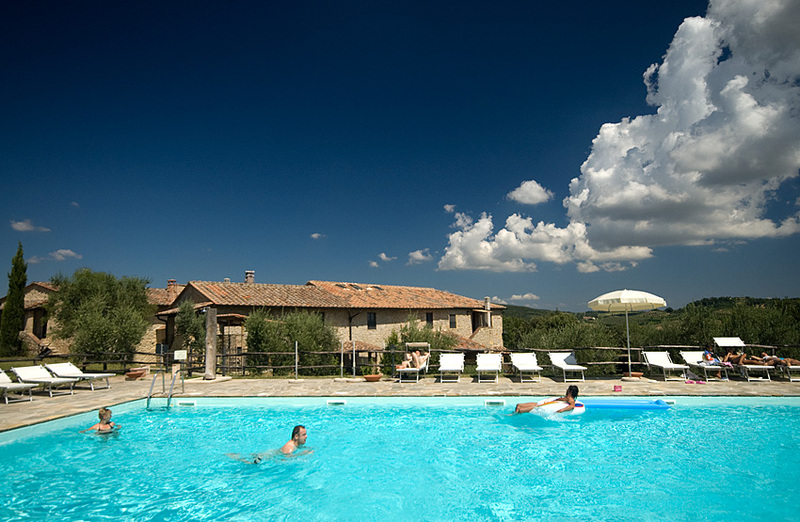 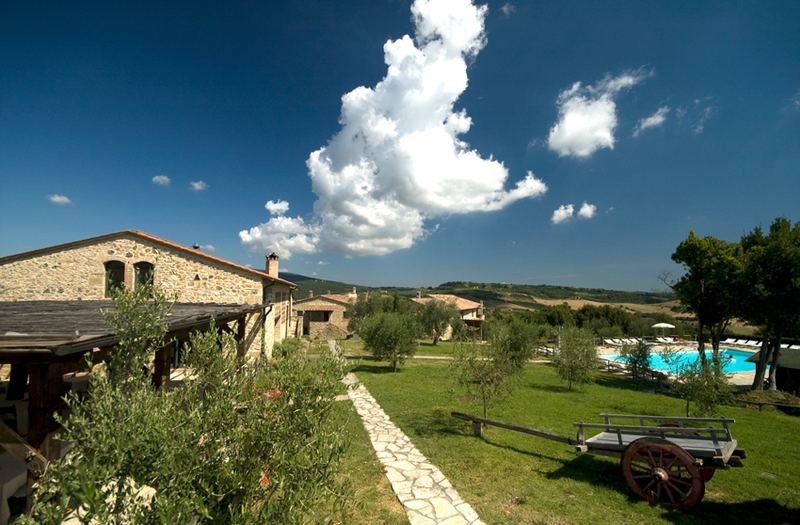 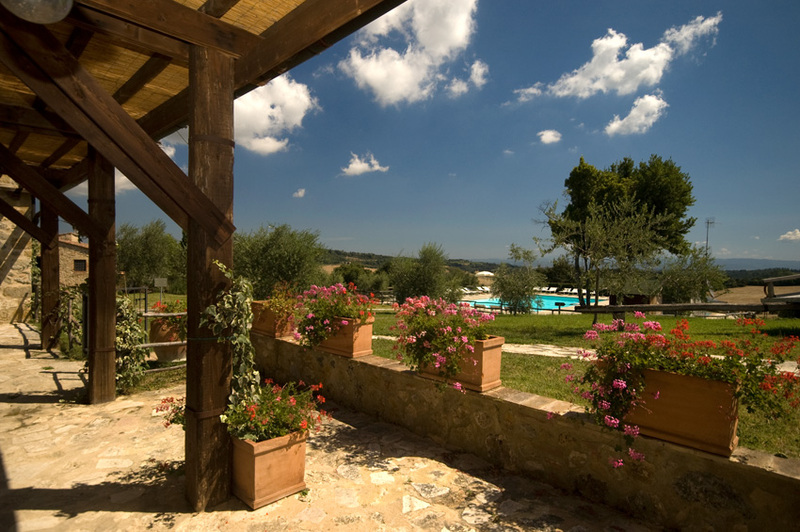 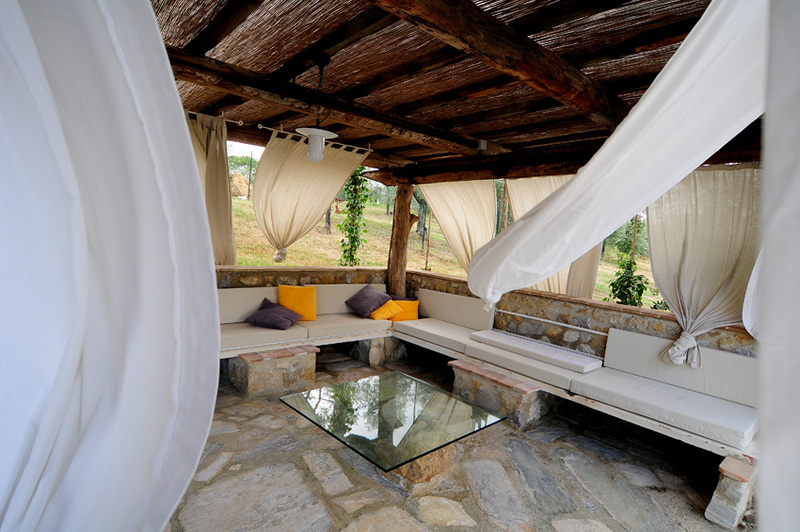 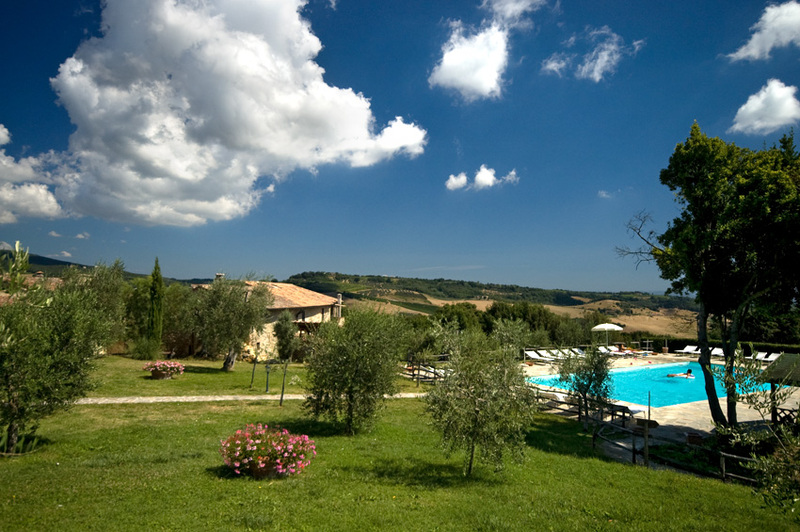 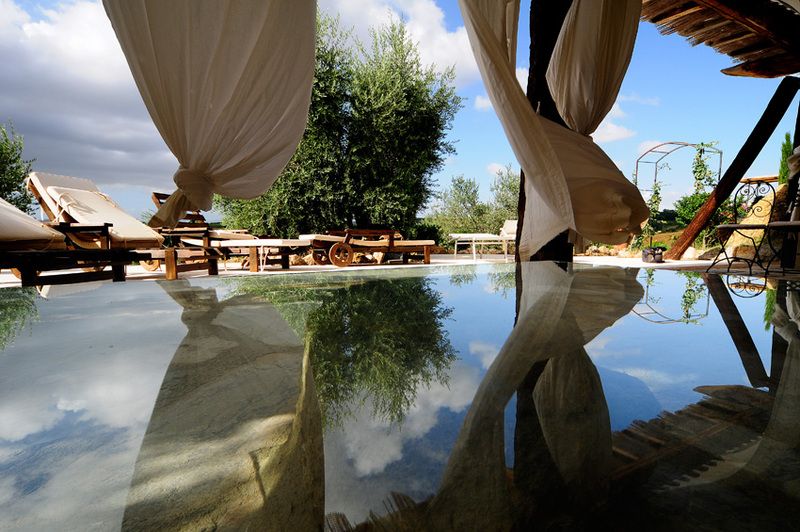 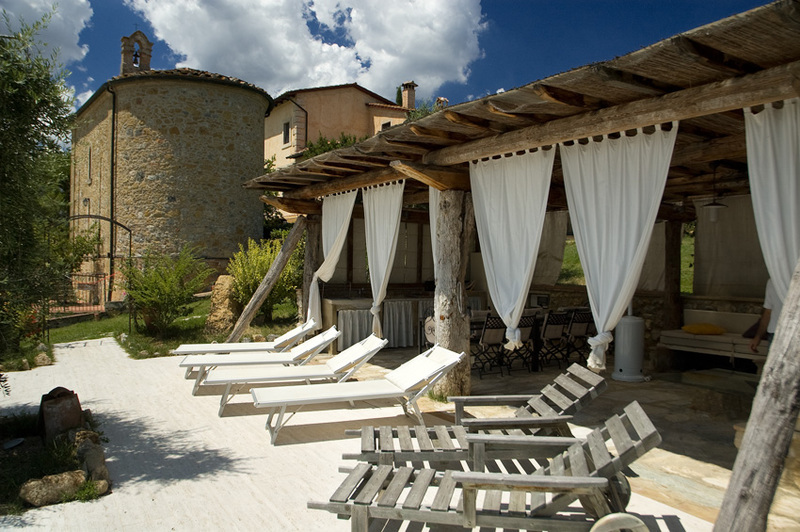 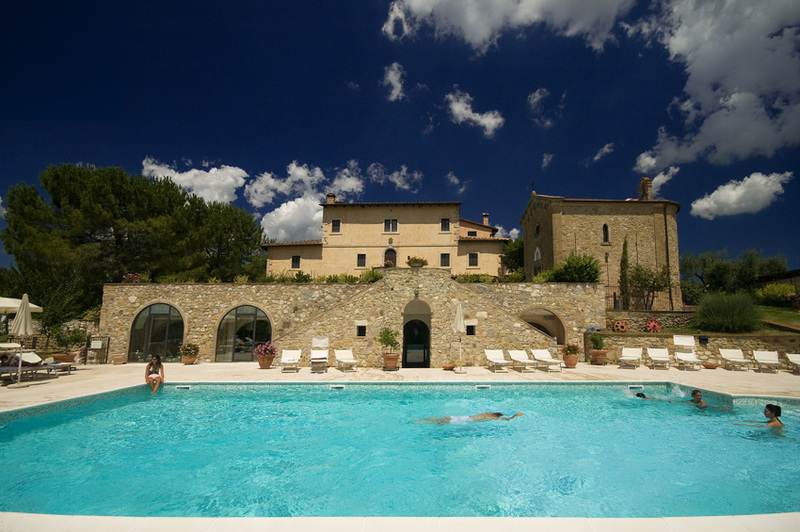 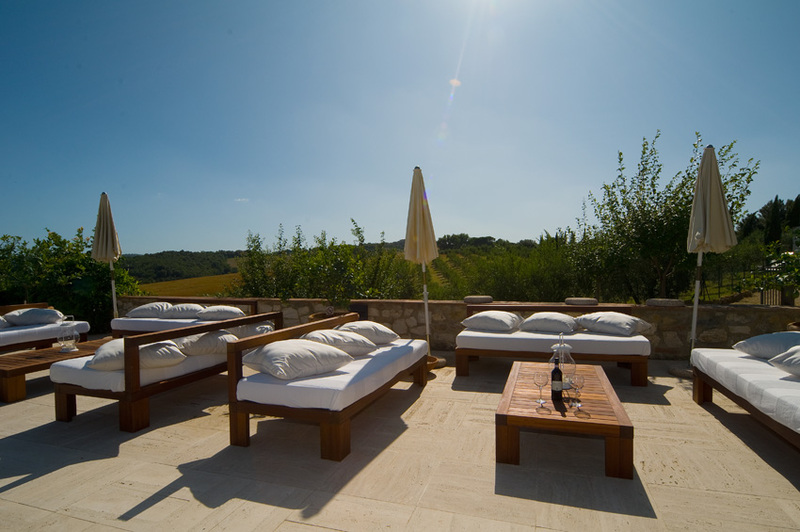 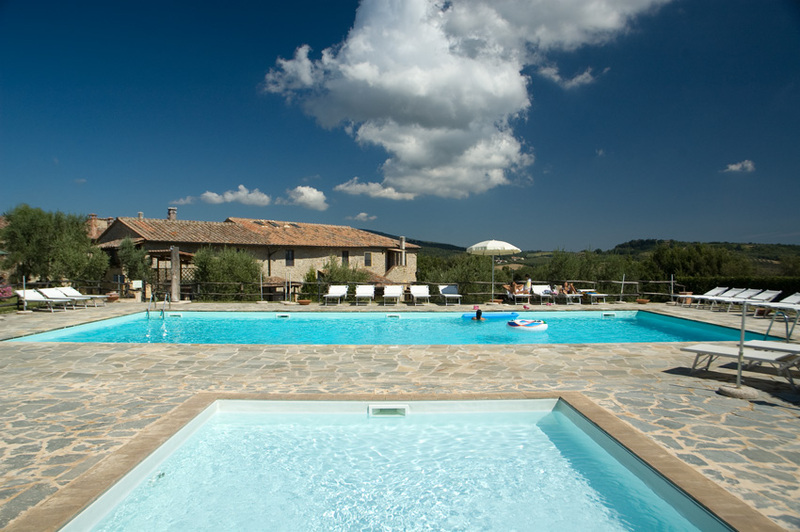 The reserved area, put at the guests' disposal, comprises a pleasant and elegant equipped hall, which can accommodate up to 100 people, a special area for services and a suitable outdoor space close to the swimming-pool with a breathtaking view of the typical Tuscan landscape.